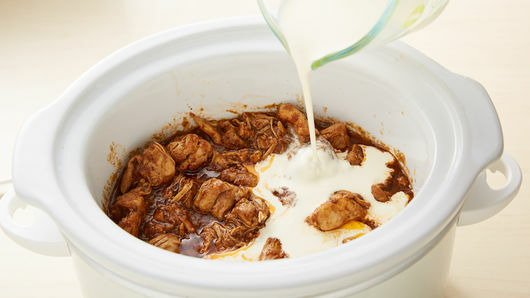 Spray 3 1/2- to 4-quart slow cooker with cooking spray. In 12-inch nonstick skillet, melt butter over medium-high heat. 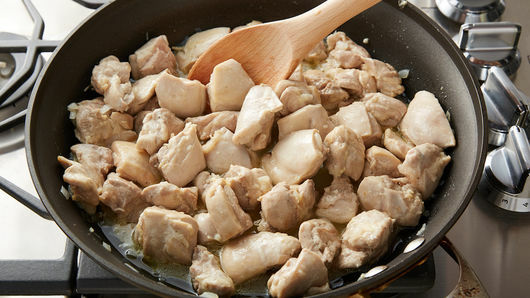 Add chicken, onion and garlic; cook 8 to 10 minutes, turning once, until browned. 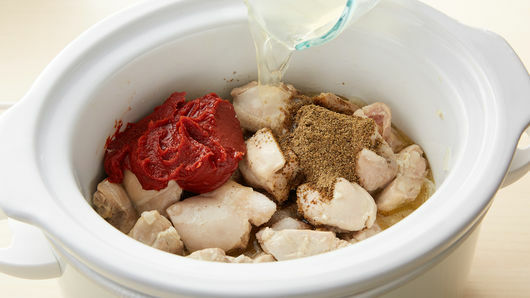 Spoon chicken mixture into slow cooker. Stir in remaining ingredients except whipping cream until well blended. Cover; cook on Low heat setting 3 to 4 hours or until chicken is no longer pink in center (165°F). Stir in whipping cream. Cover; cook about 30 minutes longer or until slightly thickened. 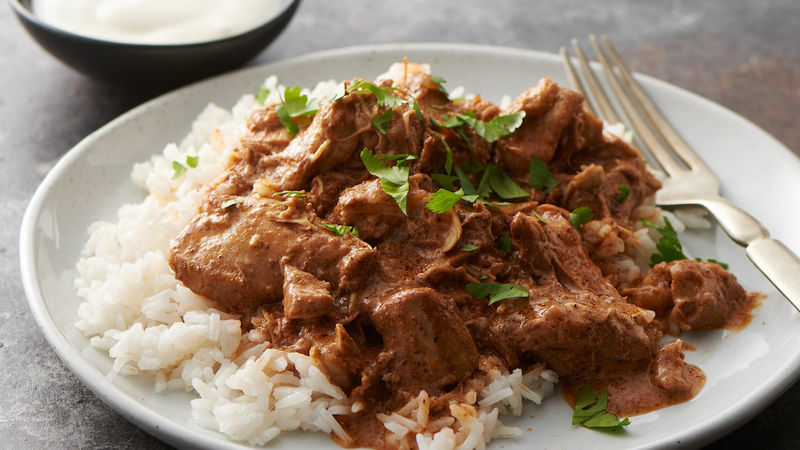 Serve this delicious butter chicken over cooked rice. Garnish with chopped fresh cilantro.